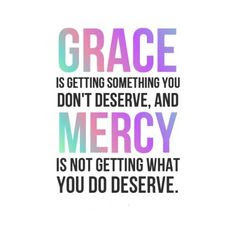 Grace: Getting what we don’t deserve. Mercy: Not getting what we do deserve. Our Daily Bread, November 5, 2015.